**Guest post written by Wes of Bandzoogle.com. "SEO is one of those mysterious and challenging topics for musicians who want to use search engines to promote their music, and who understand how powerful it can be. If SEO matters to you, but you're not sure where to start or how to do it: we have something great to give you..."
**Guest post written by Bandzoogle.com. "One of the biggest challenges facing musicians is generating income. Although sales of recorded music have dropped significantly, there are many new sources of income available to musicians. Bandzoogle have put together a free eBook called “23 Ways Musicians Can Make Money” to help musicians and bands find ways to generate more money for their careers." 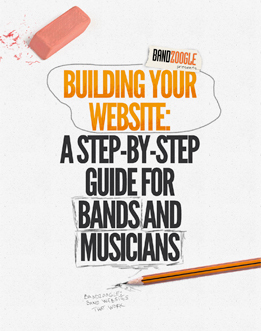 Bandzoogle has released a free eBook called "Building Your Website: A Step­-By-­Step Guide for Bands and Musicians”. 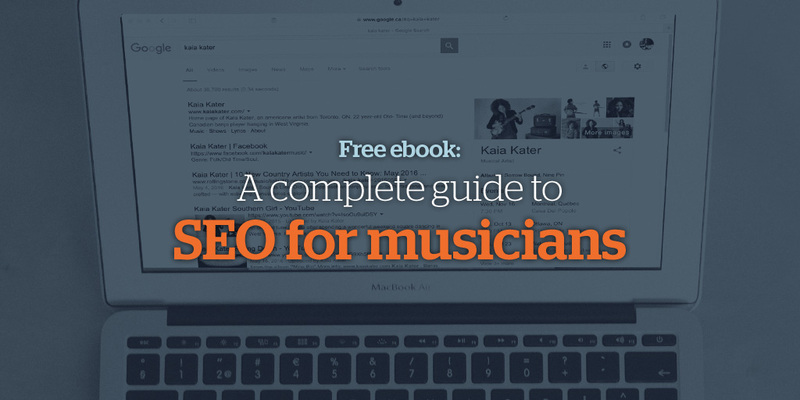 Whether you’re building a new website, or looking to improve your current one, the eBook offers tons of tips to help you make an effective website for your music.